So it’s that time of year again. Call for papers is open for a few of the large conferences including the Scrum Gathering and Agile Alliance for 2014 conferences. Have you ever wondered how to get your submission accepted? It’s a great way to enhance your personal brand, build credibility, and work on your speaking skills. There are some simple tips that have helped me to get proposals accepted and I will share them in this post. 1. Early bird submissions – Many conferences now are offering early bird submissions. This is where you can submit your presentation earlier and receive feedback from the reviewers before the final submission date. It’s a great way to hear what experienced reviewers think and make your submission much better. Yes, it’s due a bit earlier but the feedback is worth it. 2. Catchy title – The title is going to be the first thing that catches the reviewers’ and the audience’s attention. Some something catchy is best, especially if you can relate it to the conference theme or location. If you need some ideas look at past conferences and take note of what catches your attention and why. One of my favorite titles, obviously, is Confessions of a New ScrumMaster. 3. Unique topic – In addition to a catchy title, the topic should be somewhat unique. This can be a new spin on an Agile concept, a case study, or a new strategy all together. I find what I enjoy most is not being lectured at for what I should do in every session, but hearing about real experiences or new ideas and strategies I can take back. It can be daunting to think of something new but sometimes a different spin is all you need to keep a topic fresh. If you’re still having a hard time, look at some of your blog posts and see if you can pull something out of there. 4. References to speaking ability – Some of us have presented at a lot of conferences, some of us none. Either way it is hard for reviewers to know if we are good speakers or not, and this can play a role in getting chosen. Some submission systems call out this portion and ask you to provide references. Providing them can never hurt. Also if there are other presentations you have done you can list them and link to them in this space. Finally, if you have a video of you speaking and it highlights your talent, you could think about including that. Reviewers don’t guarantee they will look at the links but it’s worth a shot – just make sure it’s a good video. 5. Link to presentation – If you have done the presentation before, it’s great to call it out and link to the slides or content you used. If you have not, feel free to link to another for context. It will show what your slides are like and how you organize things. If you have or have not done the presentation before, tell the reviewer up front. If you have, it gives credibility; if you have not, it sounds fresh and you can say how excited you are about the topic. Make sure if you have done the topic before, you haven’t overdone it. Unless someone from the conference requests it specifically, I recommend retiring a presentation after 2-3 presentations. 7. Organization of time – In the description of your presentation, sometimes it asks about time breakdown. There’s usually always a place for session length, but it helps to break down the different portions of your session so the reviewer has a more structured view of how the presentation will go. If there are workshops, how much time will be spent on each part? If it’s a lecture, how long will you talk about a particular topic? Will there be time for discussion with the group? Call these times out at the beginning of the activity/paragraph in that section so the reviewer does not have to search for it. 8. Interaction – Though you can usually pick between a workshop or lecture setting for your presentation, with either there should be some audience interaction. Think about breaking up a lecture with some small group discussion on the topic. Another form of interaction that can be used with a lecture is having some hand outs to help display some of your ideas and so audience members have something to take back with them. Obviously with a workshop there should be much interaction, but make sure to break up the activity with some debrief time in between. It’s all about balance between activities, discussion, and lecture to keep your audience engaged. 9. Try local – There aren’t just the large conferences, there are also usually smaller local conferences and user groups. These are a great place to get started. Submit a topic for a user group meeting or answer a call for presentation locally. Advantages of this is building credibility with your local Agile community, less travel expense, and potentially less competition for proposals and a smaller group to build experience. Sometimes these local gatherings are not broadcasted as much, but by getting in with the groups that put them on and starting out as a volunteer you can help to secure a place for yourself in the future. 10. Just do it! 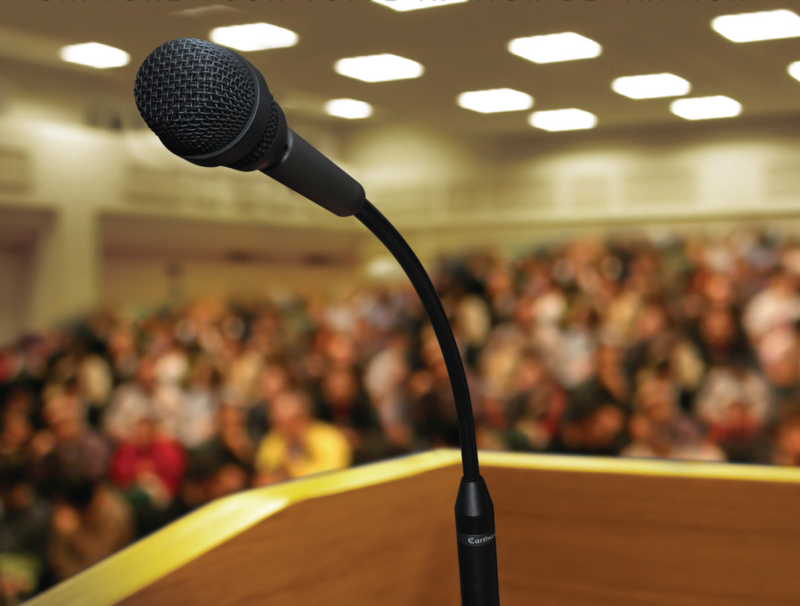 – It can be scary to submit to conferences to speak but really there is nothing to lose. You can get some great feedback and experience. If you’ve attended a few conferences you should have a better idea of what presentations are like, what you enjoy attending and what you don’t. After I submitted for my first conference I didn’t tell anyone until after I’d gotten accepted. And since then I’ve spoken at a few more, but also received a few rejections. It’s okay, just go for it! On a final note, make sure to check out the compensation before you submit. If it is adequate to your needs and budget, then go for the submission. The part many people don’t think about is that a lot of the expense you are responsible for yourself. If it’s not something your work will pay for, you may want to reconsider submitting if it is going to be a financial burden. On the other hand, I look at the cost as an investment but not everyone has that luxury. Good luck and I hope to see many of you speaking at the Scrum Gathering in New Orleans and Agile 2014 in Orlando!